Disney’s Animal Kingdom is a fascinating combination of a zoo, amusement park, and museum all rolled into one. My favorite attraction at Animal Kingdom has always been Kilimanjaro Safari. 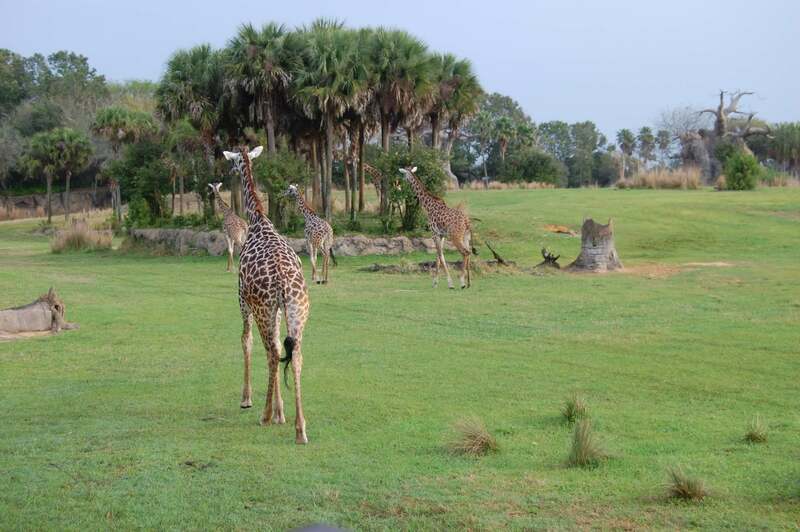 Guests board safari-style all-terrain vehicles and take a simulated trek through over 100 acres of Eastern Africa while never leaving Central Florida. 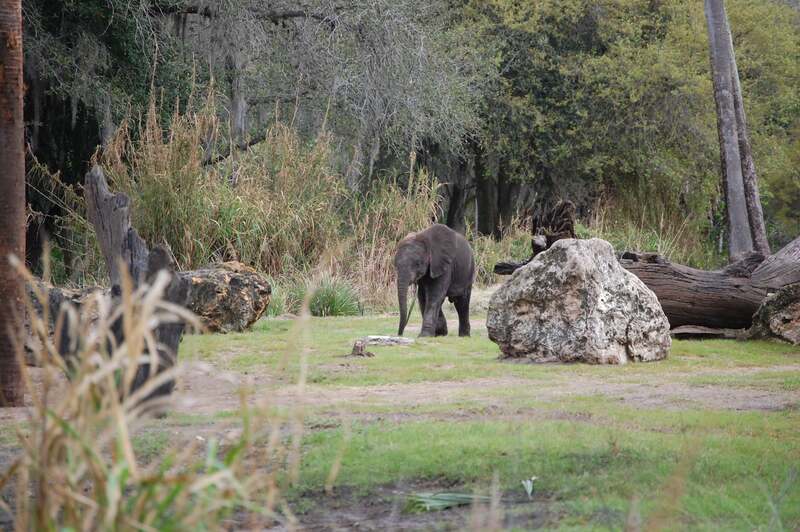 Many great Savannah creatures roam through the fictional Harambe wildlife preserve. You can ride it a hundred times and never have the exact same experience. There’s always great photo opportunities on this ride. 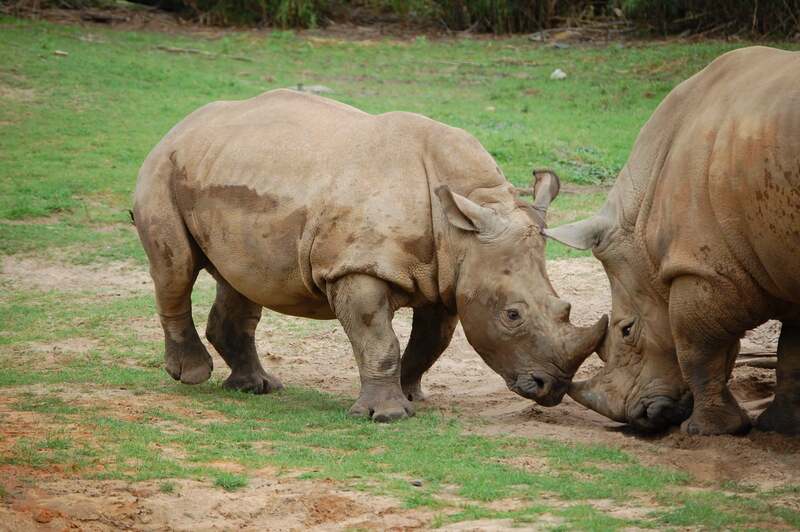 Here are 10 awesome animals on Disney’s Animal Kingdom Kilimanjaro Safari that you can get up close and personal with on your excursion. All of these pictures are from our personal collection. These beautiful animals are the largest of the African antelopes. They are sometimes referred to as the “Ghost of the Forest” because they move through their surroundings almost silently. Many people in the western world weren’t able to view them until around 1960. These guys look innocent enough, but they put on quite the show for us on one morning safari. We were lucky enough to be on the first truck out of the gate, and these rhinos were extremely active. They butted heads and horns for a few minutes to the delight and fear of our group of Disney guests. Then suddenly, they decided that their breakfast was more interesting, and they walked away. When you come up on these prehistoric predators, you can’t help but feel your skin crawl a little. There’s a pretty large group on display in this area, so there are always plenty of different ones to see. It’s amazing how even when you are pretty close to them, they really blend into their surroundings. 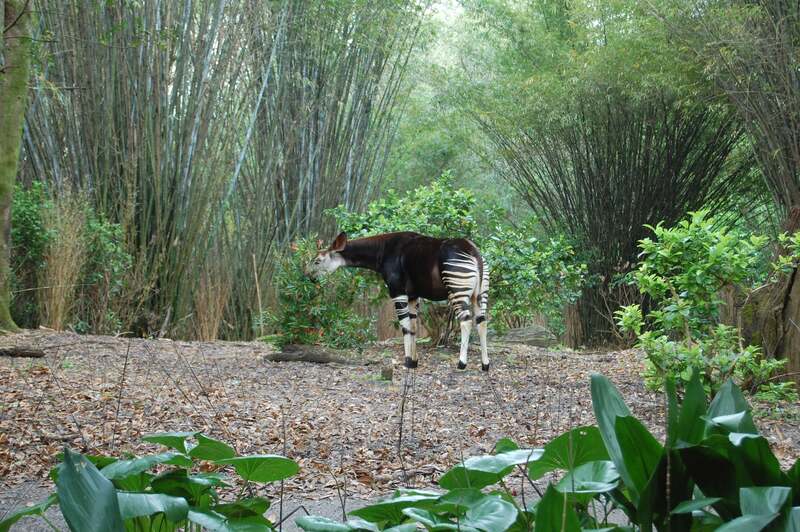 If you’ve ever watched Disney’s The Lion Guard on Disney Junior, you might know that the okapi was the star of its own episode. These guys are solitary and extremely shy, so they are very elusive in the wild. Most would think it’s a relative of the zebra, but it is actually a cousin of the giraffe. These are my personal favorite because they aren’t your typical livestock. A symbol of wealth among Rwandan tribes, they were traditionally sacred and only used for milk and status. Blood circulates through their horns to be cooled, and then back into the body to give them a built-in cooling mechanism. You usually get a great view of these remarkable bovines. Who doesn’t love elephants, especially baby elephants?!?! There’s always a herd around on the safari. Disney is committed to elephant conservation. The Disney Conservation Fund has contributed over $1.2 million in funds for elephant protection world-wide. 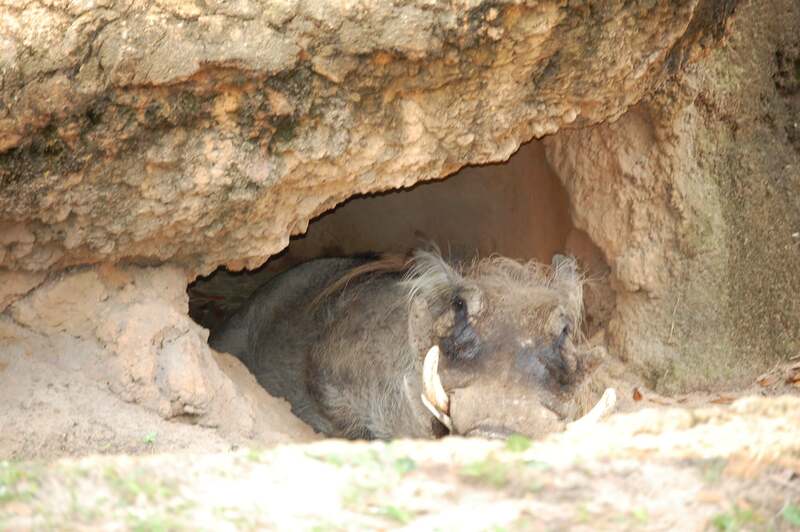 This is a pretty cool picture of a warthog relaxing in his burrow. You never know, this might be one of Pumbaa’s relatives! While the warthogs are not always visible on the safari, if they are out, you will get a pretty good view of them. A favorite animal on the safari is the giraffe. Giraffes are the type of animals that could stop traffic anywhere. On the Harambe preserve, we have seen them do it literally several times. They aren’t shy about coming close and are in no hurry to clear the path. This picture shows a group running away, which was quite a sight. The giraffes can also be a bit pushy to the other animals. We have seen them kick at the Watusi cattle because they were relaxing in a place the giraffes didn’t like. One time, we saw one run an ostrich away from a tree. I included this picture to show how interesting it is to see these animals in their simulated natural habitat. 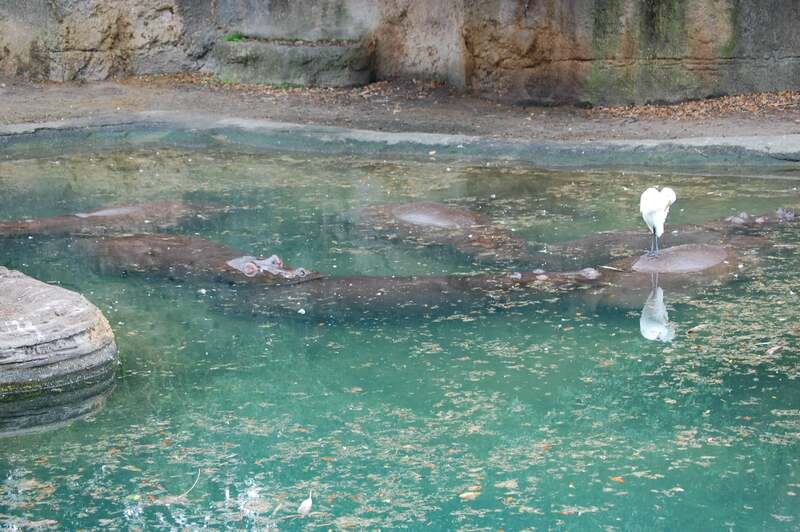 Below that water are a few hippos. The bird in the picture is standing on a hippo, not a rock. Hippos, even though they look lazy and somewhat cute, are known to be ruthlessly aggressive and ill-tempered. Imagine being on a real safari and wandering up on this watering hole. You would literally be on top of the hippos before you even knew they were there. Thankfully, the king and queen of the jungle are positioned a good, safe distance away so they don’t have access to your safari truck. 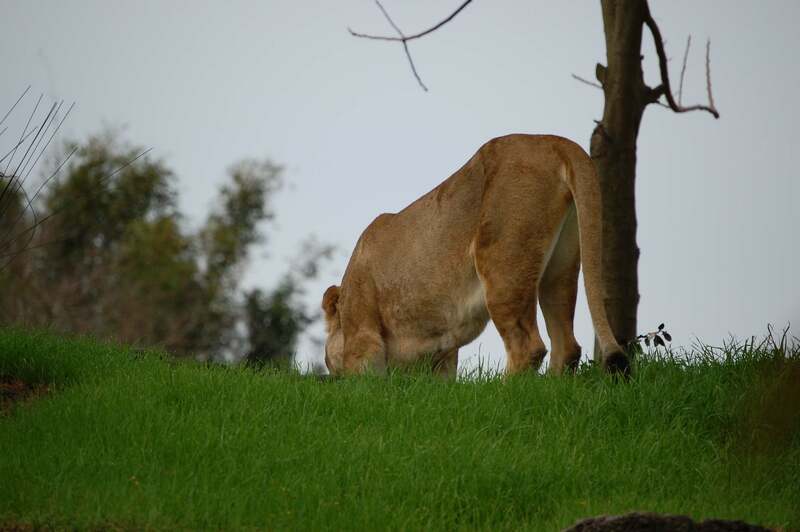 Just like Simba on Pride Rock, this lioness is perched on her throne area. They can be a bit difficult to spot at times but sometimes you’re rewarded with a shot like this one. Most of us will never get the opportunity to take a real African safari. However, thanks to Disney World, we can get the same experience without ever leaving the United States. 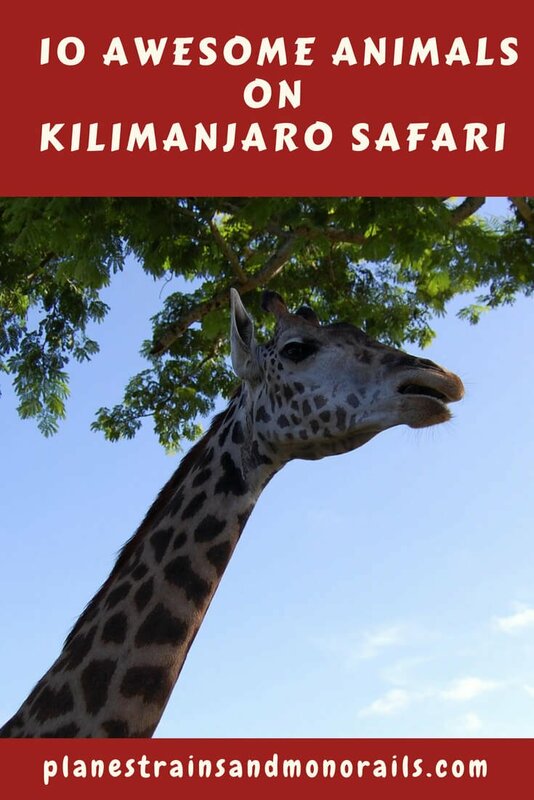 Kilimanjaro Safari allows you to ride across the savannah and view some of the most beautiful animals in the world. 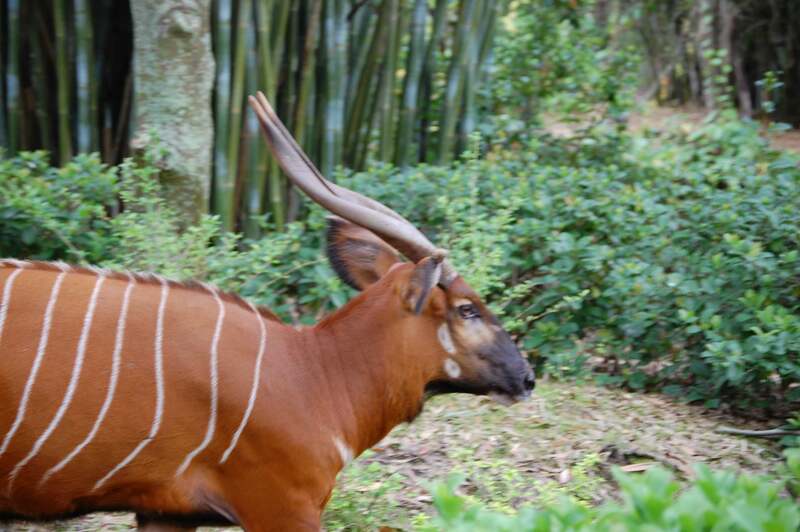 How many of these 10 awesome animals on Disney’s Animal Kingdom Kilimanjaro Safari can you spot on your next trek? 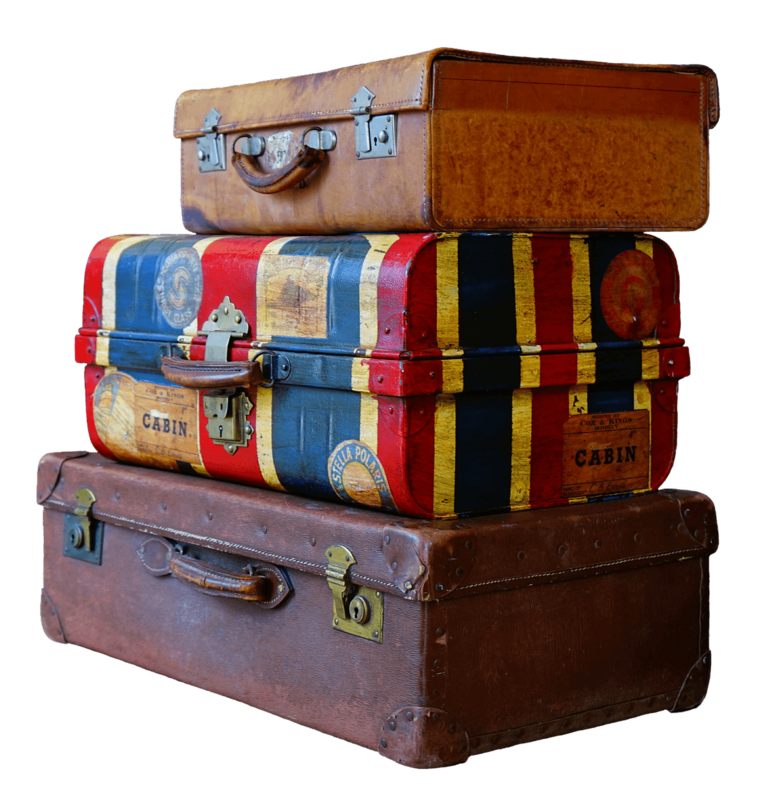 Good luck and come back and leave a comment letting us know how you did! 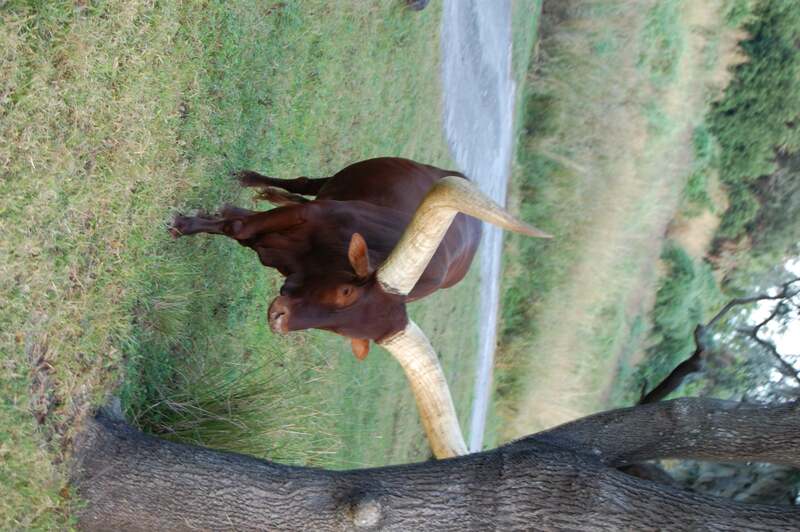 And for more information on things to do at Disney’s Animal Kingdom, check out this post. For help planning your Disney World trip, check out our step-by-step guide, our best resources, and our quick tips. For our Disney World secrets, see our plan to avoid the stroller and the secret to a great trip. My son and I read this post together the night before we went to Animal Kingdom. 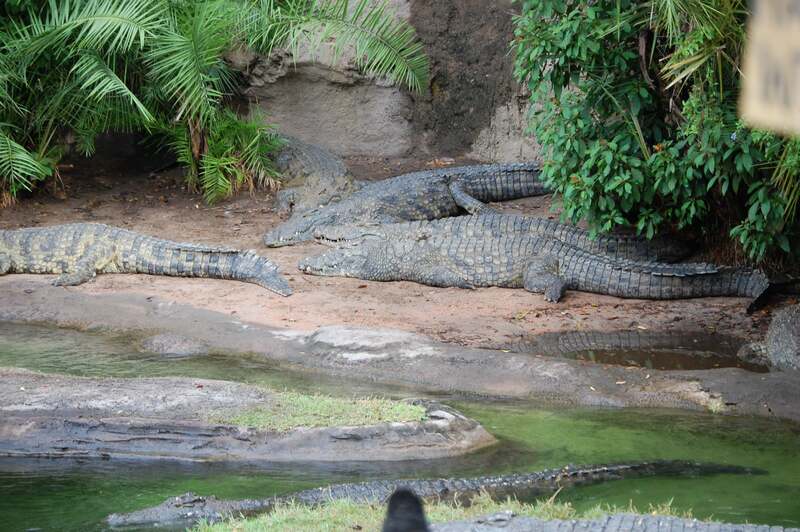 After we read it, he made it his mission to see all 10 animals listed in this post! We had an absolute blast on the Safari, and looking for certain animals made it even better! Pay close attention to Christy and Chris’ posts – they know what they are talking about when it comes to DISNEY!